If heaven is a place on Earth, I may have stumbled upon it on the outskirts of Seoul at the KINTEX convention center. The Sensation concert series had landed in Asia for the first time, with Korea the first stop on the tour. I went with a group of Korean friends. The theme of the night was "An Ocean of White". 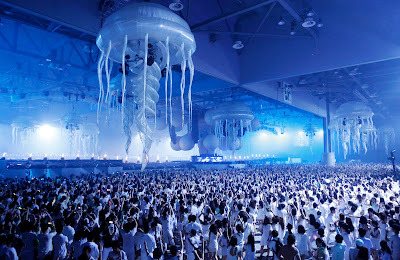 This was reinforced by the all white dress code required for all attendees, set decoration drawing inspiration from the depths of the sea, and k-girls covered in dollops of skin whitening cream. There were around 20,000 revelers in attendance. As the event was about to begin, streams of angelic figures waited to enter the main event hall. The concert started around 10pm at night and continued until 5am the next morning. Each DJ mixed for about an hour and a half. 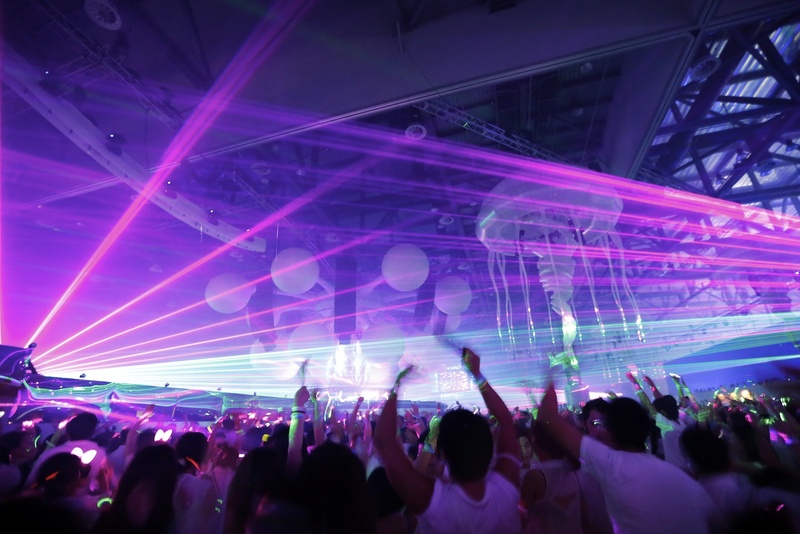 It was not all about the beats though, as the house music was accompanied by water fountains, lasers, giant beach balls thrown into the crowd, pyrotechnics, and dancing girls who had their upper bodies enclosed in plastic bubbles. The k-girls would go outside the main hall to rest whenever they got tired, a frequent occurrence. Exhausted beauties were scattered across the grounds like confetti, sitting on the floor after taking of their killer heels, lined up in lengthy queues outside the bathrooms (where the mirrors are larger than the hand mirrors they carry in their purses), or sipping coffee while playing on their smartphones. "It is like paradise" I exhaled, dabbing the drool off my face with a moist towelette. As a steady stream of Korean beauties sauntered past me with expressions ranging from vacant to disgusted, I expressed my oft repeated regret that they may not speak English. "I hope they don't" said a Korean man standing nearby with a self-satisfied grin on his face. I posed with several starlets, who quickly dispersed after taking a photograph with me. After seeing one such photo, a friend of mine commented that "This picture is very misleading as if you are a hot guy among girls. It could lead Indian boys to immediately buy a one way Korean ticket." To be fair, this was an improvement over regular encounters where a k-girl is more likely to be using her phone to call a park ranger to tranquilize me rather than to store my contact number. As dawn approached the revelers groggily made their way to the subway station to catch the first train of a new day. Every seat was occupied by someone dressed in white, a shocking sight for passengers at subsequent stops. They must have wondered why so many hospital patients, spa goers, and lunatics from the insane asylum were all out at the same time. A random girl sitting beside me fell asleep, placing her head on my able shoulders. Her head slid steadily downwards, before jerking back up just in the nick of time. The passengers who were still awake watched with bemused expressions on their faces. Me: I like girls who are intelligent as well as beautiful. Indian beauty: You know some beautiful girls only pretend to be dumb. Indian beauty: Yes, they are actually very smart. Me: Then why would they pretend to be dumb? Indian beauty: It is easier for them to get what they want that way, without having to give it much effort. Me: Oh, I see. That is actually very clever. Me: So are you only pretending? Koreans calculate their age in a unique way. A baby begins life as a one year old, receiving credit for the time spent in the mother's womb. According to the custom, when a new year begins everyone becomes another year older. If we are following the solar calendar, a baby born on December 31 would be one year old on New Year's Eve and two years old on New Year's Day despite being an individual entity for only 48 hours or so. For a man who embodies the very best of the East and West, the answer to the simplest of questions can lead to much confusion. Most Korean and Chinese people will not believe I am from Canada. My passport and birth certificate will not suffice as proof, even if accompanied by a note from the Canadian embassy. They will rest easy only after I expand upon my origin story and tell them of my Indian roots. All preconceived notions that they have about dark skinned people are then immediately applied to me. Korean man: Where you come from? Korean man: Really? But judging your accent, you are Arabic? Me: No, you mean judging from my appearance. The Latin terms jus sanguinis (right of blood) and jus soli (right of soil) describe two alternate approaches to determining nationality. The former refers to citizenship being determined based on the nationality of the newborn child's parents. In the latter case, citizenship is granted based on the physical location of where the child was born. When a Korean or Chinese asks the "Where you from?" question to an exotic being, what they are interested in is the blood and not the soil. What I hear is "Which country were you born in?". What they are actually asking is "What is your ethnic background?" or "Where do your ancestors come from?". These are perfectly legitimate questions, although white guys are never asked if they are really Scottish, English, French, Italian, or Russian if they say they are from Canada or America. 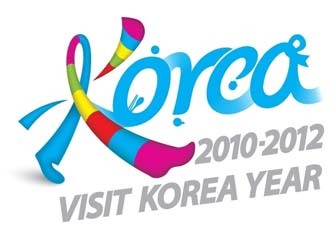 It took South Korea only three decades to transform from a recipient of foreign aid to a donor nation, making it the first and till date only country to achieve this remarkable feat. The economy was not the only thing to transform during this time span. When looking at older women or historical archives, and then comparing their looks to the current generation of young Korean ladies the difference is night and day. The visual discrepancy between the past and current generation may be explained by several factors. Whether through an improvement in general nutrition and standard of living, the availability of affordable surgical procedures, or generous helpings of makeup, the results are truly startling. Throughout history the Korean men have consistently maintained their gauche looks, so the transition from ogre to ogled is unique to the Korean female. The average Korean man sports the appearance of someone who has been repeatedly victimized, first by being bludgeoned with a baseball bat to the face and then via several comprehensive sessions of electrolysis. Their aesthetic deficit is completely forgiven by the modern Korean ladies, who cling to them like security blankets. To their credit, the Korean guys are well mannered, hygienic, fashion conscious, and surprisingly well built, perhaps due to the years spent performing mandatory military service.